I am delighted to welcome Sarah Houldcroft to my Blog today. Sarah, a Goodreads Librarian and Virtual Assistant for authors, tells us what she thinks our readers want from us. How many times you, as authors, have heard that phrase, I wonder. Perhaps you smile and think to yourself: ‘God, if she only knew the hours and hours of stress, torment and sheer hard work I have had to go through…’ But we, as readers, don’t know. We simply cannot comprehend, it is not important to us. All we see is the end result and the author becomes a special gifted individual who can reach down into her soul and haul out people and feelings, emotions, happenings, and create a whole new world for us. For the booklover, the reading experience begins way before the first word in the book. These days with so many more opportunities to read, the first question may be ‘How am I going to read my next novel?’ Paperback, Kindle, tablet, phone, PC? For me, there is nothing better than holding a printed book in my hand, the feel of it, the smell of it, even. And that wonderful action of turning the page to discover what happens next. However, there are an awful lot of booklovers who now just read books on their Kindle or other e-reader. Makes sense, you don’t have to lug an extra suitcase with you on holiday just to transport the books you want to read over the coming two or three weeks. Easy, a click of a button online and you can start reading, no need to wait for the post to deliver your next read. Personally, I am torn between the two methods. I do have a Kindle which is particularly useful when I am reviewing books for authors abroad as they can just send me a digital file and away I go. But, as I said before, my true love is the printed book, of which I have hundreds and hundreds. I am not alone either, although millions of ebooks are downloaded every year, the printed book is still managing to hold its own. But as readers, we like to be given the choice of how we read our next novel. So the more formats in which you make your book available, the better. Regardless of the format of our next read, if we don’t know what to read next, or a friend has not recommended an author or book then odds are we will end up on Amazon. And that is when the next phase of the pre-reading experience begins. What to choose? Ok, we may have a particular genre in mind which could narrow it down, but with so many books to choose from these days we will be scrolling down the list at some speed until a book cover catches our eye. Yes, the old saying ‘don’t judge a book by its cover’ doesn’t quite hold true these days. If we don’t like your book cover we will pass over you and keep scrolling and that applies to print books too. Scott Pack, a former Waterstones buyer sums it up quite nicely here http://completelynovel.com/self-publishing/writers-toolbox-cover-design and offers some useful tips for authors to consider. These days the reading experience doesn’t necessarily have to stop once the book has been read. Traditional publishing tended to keep the author at arm’s length from the reader, unless they were lucky enough to attend a book signing. These days with social media, websites like Goodreads.com and the explosion in self-publishing, authors can be far more accessible and that is what readers like. have experienced first-hand any of the aspects in your books? I think booklovers have always thought these questions, but have not had the opportunity to ask until recently. And now we can, we want more. Yes, we will respect your privacy, but we want you to reveal more than just the contents of your latest novel. The author who embraces this new way of doing things, particularly the self-published author, will always win out over those who prefer to keep their distance. They will turn their readers into raving fans who in turn will review their books and talk about their books and encourage others to read their books. READERS – do you agree? **Sarah Houldcroft is proud to be an Author’s Envoy and particularly likes to promote self-published authors. She offers services to authors to help boost their online presence through www.vaforauthors.com and her new website www.authors-uncovered.com which will be a place where authors and readers can connect, read, write and share. She lives in Leicestershire with her teenage son, two bunnies, an aging gerbil and hundreds and hundreds of books! Posted on February 22, 2014, in First Person Singular and tagged author, book, booklover, inspiration, library, reader, romance, signed book. Bookmark the permalink. 21 Comments. Sarah, I was so thrilled to have you on my blog as you are both a reader and a virtual support for authors. As an author, I can only hope that I have written the best book I am capable of and hope that readers agree. Thank you for your honest opinions. Thanks so much for having me on your blog Lizzie. I do hope my comments will be useful to authors. 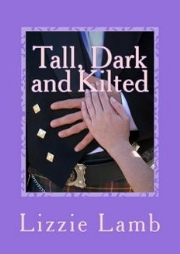 I certainly enjoyed your book, Boot Camp Bride and am looking forward to reading Tall, Dark and Kilted. Sorry I didn’t reply earlier, but I was knocked out with the flu and today is my first day back in the land of the living, so to speak! Sorry to hear you’ve not been well, Sarah. I hope you;re on the mend now. 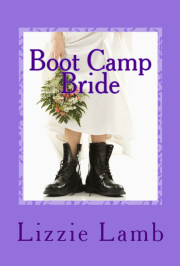 Thank you for your kind words re: BOOT CAMP BRIDE. 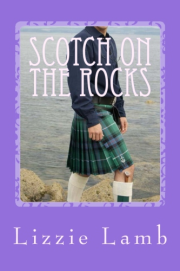 I hope you enjoy TALL DARK AND KILTED just as much. I’m sure your post has been very helpful to readers and it has had lots of ‘shares’ and ‘likes’ – which is always a good sign. Thanks Lizzie, for introducing us to Sarah and her reader’s viewpoint. A really helpful perspective – it’s given me new things to try! I like the sound of your range of services too, Sarah. Will be in touch! Thanks June. It’s always good to get a reader’s perspective – and Sarah is very knowledgable. Thank you so much June, I’m glad it was helpful. A most interesting post, Lizzie, and great to meet you Sarah. I have made a note of your links for future reference – they sound as if they could be extremely useful!. Thanks Margaret, if we have an understanding of what readers want and couple it with what we want to write – it sounds like a match made in heaven !! What a good idea for a post, Lizzie! We all want to know what readers want, so we can make the reading experience the best it can be. Only one point – Sarah, two or three week holidays? Can I have your job? Hi Jane and thanks for dropping in. Shame the hobsnobs have all gone but left a trail of crumbs behind. I bet you’re a bit like em, find it hard to read as a ‘reader’ and to disengage your inner editor. I find it refreshing to learn what readers want. I’m still pretty star struck when I attend RNA functions and some of my writing heroes are there in front of me (see photo of some of the Leicester Chapter with lovely Katie Fforde above). Thank you Jan, I’m glad my comments have helped you. As a reader and writer, a thought-provoking post. Sarah has summed up both sides of the contract so well. It was a pleasure to meet her. I’m inspired by her enthusiasm and will certainly be looking into her range of services. Thank you so much Mags, I have your book on my reading list. Hi Mags, thank you for commenting. I think Sarah’s blog will prove very helpful to us. Without readers we would be writing into a vaccum. She is very knowledgeable and I’m sure she will be able to help you with your social networking needs, too. Thanks for commenting, Adrienne. Passion for the written word and the desire to share our mad scribbling a is what spurs a writer on. But we must remember our audience. WHO we are writing for.